Iranian President tells French counterpart the nuclear deal is not negotiable in any way. 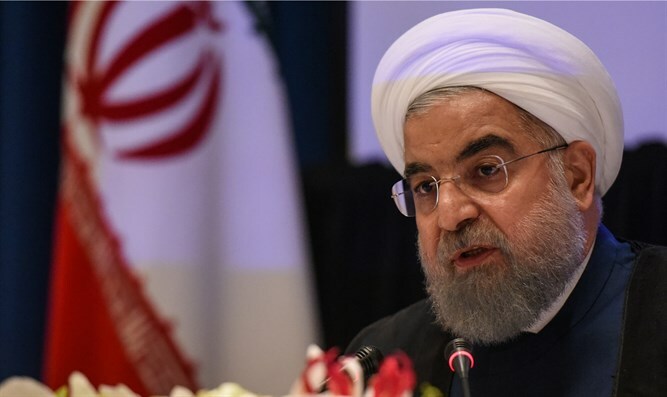 Iranian President Hassan Rouhani on Sunday told his French counterpart Emmanuel Macron that the nuclear deal his country reached with international powers was "not negotiable", AFP reported. "The nuclear deal or any other subject under its pretext is not negotiable in any way," Rouhani told Macron in a telephone call, as quoted by the website of the Iranian presidency. "Iran will not accept any restrictions beyond its commitments," he added. A readout of the call from the Elysee Palace said Macron told Rouhani that while he supports preserving the deal, its “sunset” clauses must be addressed, as well as Iran’s ballistic missile program and involvement in regional crises. The call between the two leaders came after Macron, British Prime Minister Theresa May and German Chancellor Angela Merkel reiterated their commitment to the Iran nuclear deal "as the best way of neutralizing the threat of a nuclear-armed Iran". The statement came ahead of a May 12 deadline set by U.S. President Donald Trump for Europe to fix the flaws of the 2015 Iranian nuclear deal, signed by his predecessor Barack Obama. Macron has been leading efforts to find a solution that would fix the flaws in the deal that were outlined by Trump. At the same time, he has stressed that there is no “plan B” for the Iran nuclear deal.